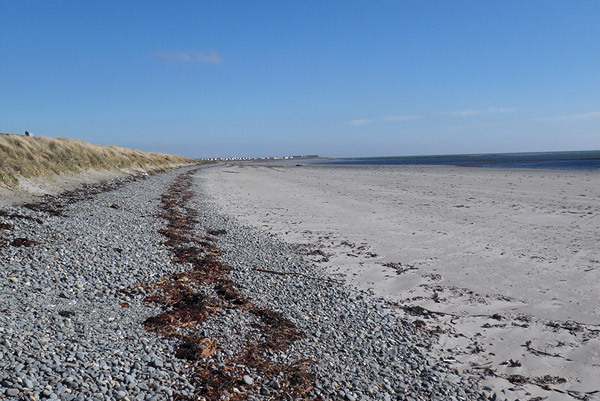 Cloghy, meaning 'stony place' (also spelt Cloughey or Cloughy) is a small village which lies on the east (Irish Sea) coast of the Ards Peninsula. It had a population of 1,075 people in the 2011 Census. It is famous for its 17th Century Castle, its beach, Kirkistown Castle Golf Cluband Kirkstown Motor racing circuit.